Children, particularly those with special needs, can require considerable help in learning how to relate to other people and how to behave positively and appropriately in social situations. 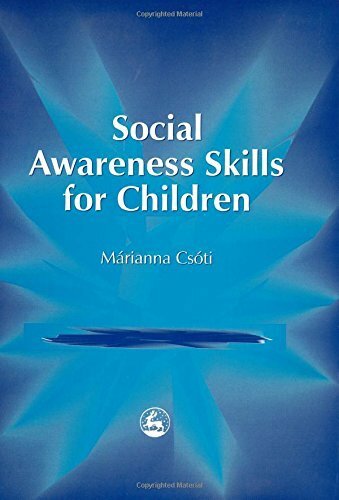 In this practical and helpful book, Marianna Csoti emphasises the benefits that learning communication and social skills can have for these children, including better friendships and increased self-esteem. The numerous detailed tasks and practical examples enable parents, professionals and carers to work with children on improving their social skills and social awareness, and respecting themselves and other people. Topics covered include: Helping children with special needs Making and keeping friends Social rules Body language Feelings, including shyness and anger Listening skills Social safety. Suitable for use with children aged 7-16, on a one-to-one basis or in small groups, this practical and comprehensive book will be an invaluable resource for anyone wanting to help children to increase their social understanding and awareness.